These marine rope toys are made from 100% high quality cotton ropes closely knotted together to form durable pet attractive rope toys. 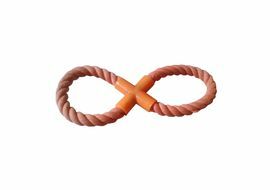 These are great teething rope toys. A high quality cotton rope, ideal for outdoor and indoor activities. 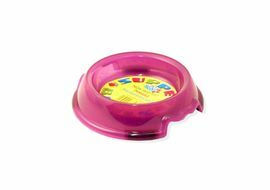 It is extremely durable and can keep pets entertained for hours on end. This will also help floss teeth and massage gums. 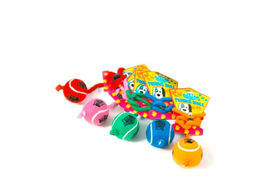 Provide your canine with healthy option when it comes to toys! 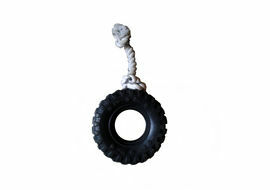 What's more this dog toy is machine washable making it easy to keep in great condition, even with mucky pups! About Pet Brands, UK: Established back in 1967, Pet Brands is the UK's industry leader, designer and manufacturer of accessories and treats for pets and wild birds, with an international customer base and portfolio of big hit brands. The company sources, innovate, design, manufacture and supply quality products to all levels of the pet industry, from major high street and grocery retailers, mail order and internet accounts, to independents, value retailers and wholesalers. Their product portfolio includes some of the world's most recognisable brands, from Hello Kitty and Tatty Teddy to Alan Titchmarsh and RAC all of which are secured with exclusivity thanks to our growing reputation. 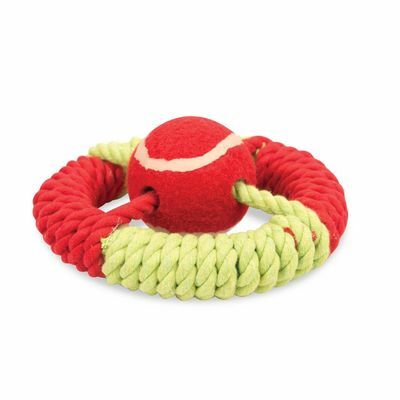 These marine rope toys are made from 100% high quality cotton ropes closely knotted together to form durable pet attractive rope toys. 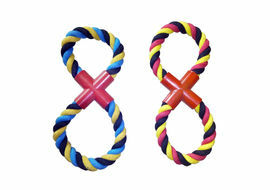 These are great teething rope toys. 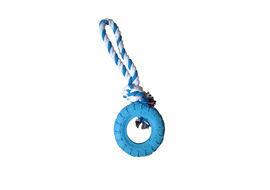 A high quality cotton rope, ideal for outdoor and indoor activities. 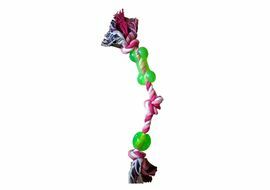 It is extremely durable and can keep pets entertained for hours on end. This will also help floss teeth and massage gums.Provide your canine with healthy option when it comes to toys!What's more this dog toy is machine washable making it easy to keep in great condition, even with mucky pups!About Pet Brands, UK: Established back in 1967, Pet Brands is the UK's industry leader, designer and manufacturer of accessories and treats for pets and wild birds, with an international customer base and portfolio of big hit brands. The company sources, innovate, design, manufacture and supply quality products to all levels of the pet industry, from major high street and grocery retailers, mail order and internet accounts, to independents, value retailers and wholesalers. Their product portfolio includes some of the world's most recognisable brands, from Hello Kitty and Tatty Teddy to Alan Titchmarsh and RAC all of which are secured with exclusivity thanks to our growing reputation.